Oxygen Office Professional was formerly known as Open Office Premium, which makes it a modified version of Open Office with lots of extras that remind me of the extras that ship with Microsoft Office. The extras include more than 3400 images including clip arts and photos, more than 90 fonts, templates and sample documents, VBA support, better PDF support and lots more. The Office suite has a size of about 200 to 250 Megabytes depending on the operating system that you have. The most important feature in my opinion is support for Microsoft's Open XML format (docx for instance). This means documents created with Microsoft Office 2007 and saved as docx can be read by Oxygen Office Professional. I'm however generally not that fond of software suites that ship with lots of extras that I never ever use. Those tend to waste space on my hard drives for no reason at all. Still, if you need one of the features of Oxygen Office you might want to give this a try, especially if you like to use clipart, need extra fonts or more templates. Update: Oxygen Office Professional is still regularly updated and while it seems to lack a bit behind in terms of version number, the latest version of it currently is 3.2.1 while the latest Open Office version is 3.4.1, it may still be interesting for users who want to use additional features it makes available. Open Office supports Microsoft's XML format as well now so that you are left with other features including the clipart and template pack it ships with. The site of the suite has increased and is now sitting at about 300 to 350 Megabytes on average. I suggest you check out the Sourceforge hosting page if you are interested in finding out more about the program. The application was last updated a year ago (as of May 2014) which may mean that the project is not progressing as fast anymore as it once was. This becomes obvious when you compare it to recent OpenOffice releases which are still being published regularly. The program should work fine though on most versions of Windows. The only issue is that it does not ship with the most recent version of OpenOffice anymore. For now it lacks .docx support, but in future it may be added. The thing is : it isn’t about whether it supports docx or not. It is how _well_ it supports it. For that matter even koffice supports the MS Office format, but the way they are opened is the worst. MS’s OOXml is a joke! The standard is too hard to understand and unclear in terms of how exactly has MS implemented it. So , expecting that anything will be able to read the OOXml files based on the standard is wrong, imho. AbiWord imho, is a better replacement. I am into free software and love Open Source. However Star Office is built on Open Office and Sun is a key sponsor of Open Office. but if you make Open Office even more fantasic then it already is wont you lose the market that Star Office needs? Isn’t Sun Micro Systems cutting it own neck? The usual (insert free office suite here) hype. Assume I do not even want MS Office file type support. This suite, like most others – also in the Linux world – has one major drawback: it is friggin’ SLOW! In MS Office, at least up to Office 2000, Word und Excel pop up as fast as Notepad. I personally reverted even to MS Office 97, where I deleted the splash screens with => ResHack. I even managed to remove the always cumbersome installation process by having all the files, inclusive the dll’s on a CD. drag and dop to the Office directory, drag and drop to the Windows\System directory and execution of a registry script (ie., simple double click on a . reg file). Thus, all is very fast right from the beginning. 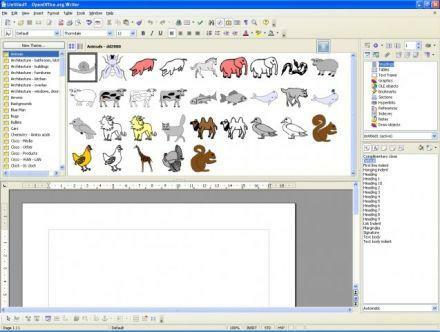 Maybe there are a few features I miss out on, and I do not get tons of clip-art – but do I worry? It suffices for writting letters, making a few calculations with spreadsheets and the odd presentation. Guys, if it is to slow then deactivate the java.